The other day the word ‘quizás’ came up at my office. It means ‘maybe’ in Spanish. The ‘z’ is pronounced lightly, like an ‘s’ in Spanish. I tricked someone into letting me think aloud about where the word might come from. This is that story. Quizás is 1/3rd of the repetitive title of the famous Nat King Cole song, “Quizás, Quizás, Quizás.” This song is remarkable for two reasons. 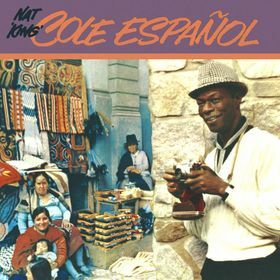 First of all, Nat King Cole does not speak Spanish, he enunciates Spanish. It’s a hilarious song to listen to because every single syllable is brought into the spotlight, when it should really be rushed past as a schwa. “es-tas pear-dee-en-dow ell tee-emm-po, pain-san-do, pain-san-do.” Secondly, I first knew about this song in English, ‘Perhaps,’ as sung by Cake. The lyrics are similar, but the Spanish one seems a little simplified. That phonetic line above is translated as “You are losing time, thinking, thinking.” In English that part is “If you can’t make your mind up, we’ll never get started.” Anyway, I like listening to the Cake song, and making fun of the NKC (do people say that?) version. So I was hoping ‘quizás’ would also be in that fun category of ‘Basque loan words’ and I came home and looked through the index of Ralph Penny’s excellent book “The History of the Spanish Language.” I’ve done several presentations in Spanish classes about the history of Spanish, and Penny’s book is my number one resource for detail and examples of how every little word got into Spanish. Now having learned the real story, I don’t feel bad for not guessing it. Over time, naturally lazy tongues have eroded away the back of the word, so the clues to the common root ‘saber’ in Spanish or ‘sapere’ in Latin, is gone, and the ‘qui’ at the beginning did not lead me to focusing on a ‘someone,’ just that it was ultimately from Latin.